Redefines the contour of the face. 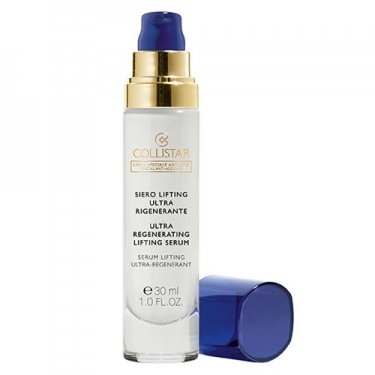 DESCRIPTION: Ultra Regenerating Lifting Serum from Collistar is an anti-aging serum that leaves the skin softer and redefines the face contour for intensive anti-aging treatment. 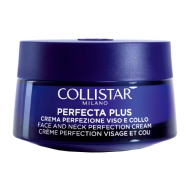 Softens face characteristics leaving a "lifting effect" and minimizes signs of skin weakening. 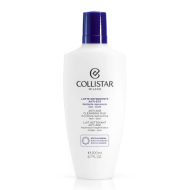 The skin is recovered and restored to a youthful look through a high concentration of active ingredients. 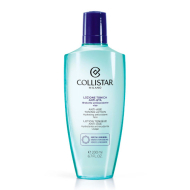 Apply morning and/or evening on perfectly clean and toned face and neck and massage gently, paying special attention to areas where wrinkles are most common.